NEW YORK – H.E. 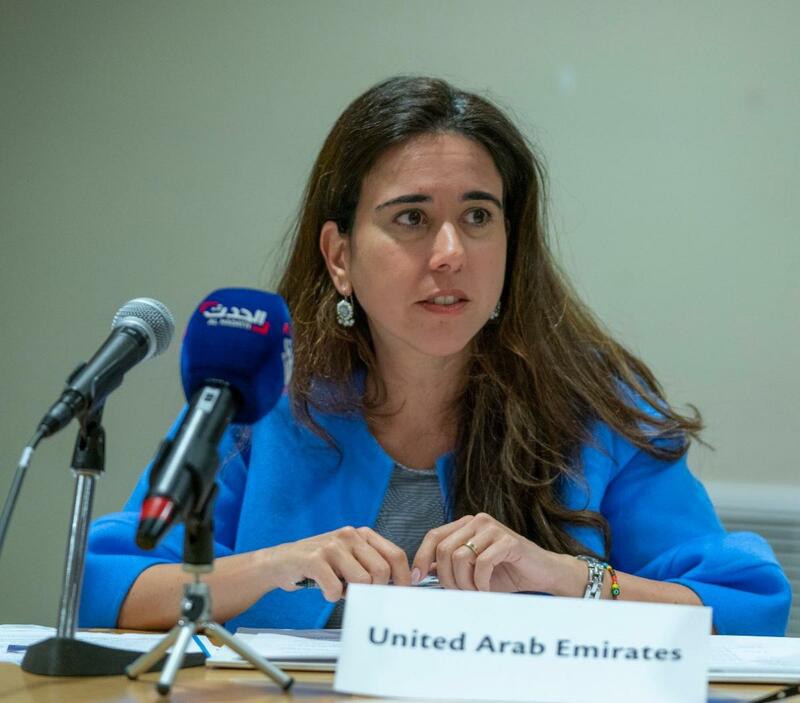 Lana Nusseibeh, Ambassador and Permanent Representative of the United Arab Emirates (UAE) to the United Nations (UN), called for greater international cooperation to reach the Sustainable Development Goals (SDGs) at an event hosted by the UAE on the sidelines of the UN High-Level Political Forum on Sustainable Development in New York. The event was co-hosted by the World Bank Group and the International Renewable Energy Agency (IRENA), and brought together a diverse group of participants including Member States, representatives of international organizations and stakeholders from academia and civil society. Members of the UAE’s delegation to the Forum, Dr. Radheya Yahya AlHashmi and Dr. Yasir Ahmed AlNaqbi from the UAE Prime Minister’s Office, as well as Ms. Meera Ahmad AlShaikh from Smart Dubai, also participated in the discussion moderated by Mr. Talal Al-Haj, the New York and UN Bureau Chief for Al-Arabiya News Channel. During the discussion, H.E. Dr. Adnan Amin, Director General of IRENA, highlighted that SDG7 on climate action needed to be closely aligned with the outcomes of the Paris Agreement on Climate Change, and noted that the Global Councils can contribute to fast-tracking progress both on the energy as well as on the climate goals. Additionally, Mr. Juwang Zhu from the UN Department of Economic and Social Affairs, cited that in 2017, the UAE was recognized by the OECD as the world’s largest per capita donor in international aid and development - contributing 1.31% of its gross national income as Official Development Assistance. He also praised the UAE’s report on the implementation of the SDGs, calling it true “excellence in action” and thanked the UAE for their leadership. Nine of the Global Councils were launched at the UAE’s flagship event, the World Government Summit in February 2018, and composition of the remaining eight Global Councils is being worked on currently. Each Council is responsible for a specific SDG and is chaired by a global leader, including current and former heads of state, ministers, and international organizations.